I write this with a heavy heart but a growing conviction. My conviction comes from the hope that those of us of sound mind and some degree of vision can unite and have our voices heard in order to prevent a very dangerous piece of proposed legislation from becoming law. I worry that should Bill 60 be voted into law, it will have a profound effect on the long-term prospects of this Province. It is with this in mind that I humbly invite anyone reading this blog post to read on and join me in the submission of a request to be heard by the Parliamentary Committee on the public hearings for Bill 60. If you are not yet aware, the proposed so-called “Quebec Charter of Values” or projet de loi Bill 60 will be holding general consultation and public hearings beginning on January 14, 2014. The deadline for submitting comments, briefs and/or requests to be heard and appear before the Parliamentary Committee is December 20, 2013. For those of you who recall, these hearings will be similar to those that were held for Bill 14 (Act to amend the charter of the French language) earlier this year. I have already submitted a comment, essentially a slightly modified version of the blog post I wrote on September 11 of this year. I encourage everyone reading this to do the same. Share a short paragraph on how the Charter would affect you should it become law. How the hijab-wearing daycare worker that your daughter has come to love will lose her job. Or how the turban-wearing Sikh doctor who saved your life will need to relocate to Ontario. Heck, just write “Bill 60 is dumb” and hit send!! 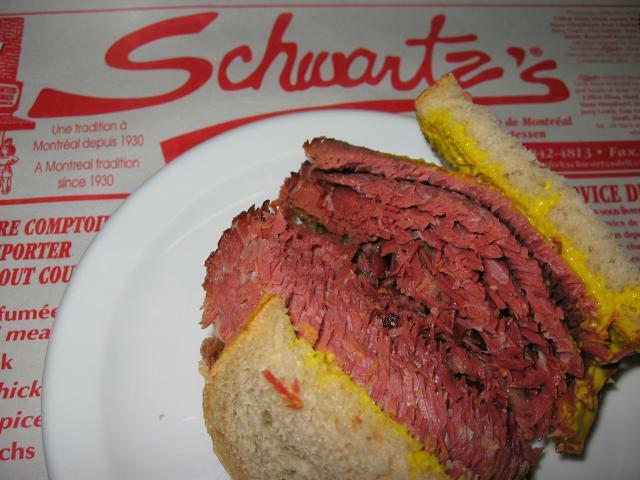 Maybe you’re currently living in Quebec, maybe you were born here and find yourself in Leafs Nation…maybe you just tried Schwartz’s smoked meat once and feel connected to Montreal. Regardless of your reasons for loving this city and this Province, I want to hear from you. Please share a sentence, a paragraph or a novel in the comments field below. You can email me if you wish your submission to remain confidential. Fortunately, in the accounting profession, anything a client (or in this case, reader) wishes to keep confidential, including their identity, will be kept confidential. If you want to remain completely anonymous, please send me a handwritten note to 3285 Cavendish, Suite 365, Montreal, QC H4B 2L9. If you do not wish to be included in my brief but want to submit your own comment to the Parliamentary Committee, please follow this link. I will be compiling any and all submissions I receive into a single brief, which I will present to the Parliamentary Committee should it be selected for presentation on the floor of the National Assembly. If it is not selected, the brief will still be sent to the MNAs on the committee studying Bill 60 and become part of the public record. PS – Sorry I wasn’t funny today! Double the funny next week!!! Today, I am a proud wife! And I am a proud father in law! This Bill 60 is nothing short of extreme racism that spits in the faces of the ethnic people who helped to build Montreal and Quebec into a special place. It was once more special, but these idiots don’ t realize that since November 15, 1976, Quebec has lost so much due to their myopic view of reality. I would need an entire webpage to explain all the issues I have with Bill 60, along with every other law that violates the fundamental tenants of a free and democratic society. My biggest issue however, is the brilliance of it, in the sense that the government is proposing a law that would in essence remove many people’s fundamental rights and freedoms in the name of unifying the population, gender equality, safety, preserving their language and culture, and assorted other righteous causes. It is a masterpiece in the art of deception, non-transparency and most of all hypocrisy…yet some people believe in its good-intentions. Bill 60, like Bill 14, showcases the PQ’s arrogance and disregard for the people and their most basic of rights and freedoms. It says that they feel as if they can govern without concern for the citizens, or the country (that they don’t recognize) that they belong to..that it’s okay to tell tax paying citizens of democratic county how to dress, what language to conduct their business in, what schools they can send their kids to etc. I believe this law would set a precedence for making the unacceptable acceptable..and it obviously won’t end. It’s the same old story. The PQ more than anything is trying to stir the pot, push the envelope, and try to scare the non-sovereignists into leaving, when this is our home too. But this has gone too far, and if Bill 60 passes, I’m afraid of how much further it will go. I don’t want to wait around for the Anglophone Registration Law, or the Ethnic Registration Law to be proposed. But I also don’t want to be bullied into leaving my home. The PQ did say that if they won, they would govern as if they are a sovereign nation, and that’s exactly what they’re trying to do, and apparently it’s not a free society. This is not okay. It’s also not okay for the government to have the if-you-don’t-like-it-get-out attitude. This government is arrogant and determined to push forth their agenda, people be damned. That is not a democracy. That is a dictatorship, which we the people, anglophone, francophone and the rest, will not abide..and people are beginning to stand up. Tyranny doesn’t happen in a day, but rather slowly, step by step. This is merely another step in the direction of building an exclusive dictatorship which nobody wants. This Bill (60) should never be allowed to pass into law. It flies in the face of everything we hold dear as Canadians – freedom of expression being the most salient one in this case. No government should have the right in an open and free society, indeed any society, to dictate to its people how to dress, observe their religious values and how to comport themselves in general unless and until they pose an obvious threat to others. As a Canadian Quebecer I have become disillusioned with what Marois and the PQ have done to us by trying to pass Bill 60 as something we don’t not need to govern our everyday functions. This is not what I want for my children and grandchildren and their future. Freedom of Religion is dear to me since I was born in Germany and my late mother chose Quebec to be our new homeland after leaving a country like Germany where hatred and bigotry was the way of life against Jews and anyone who did not agree with Hitler. I see the same things happening right here in Quebec against Sikhs, Muslims, and Jews etc and I’m frightened by what I am witnessing everyday. The divisions Marois and the PQ have created against Quebecers is obvious and will only get worse if Bill 60 is ever passed. All it takes is “one person” to spread this kind of hatred and bigotry and Marois seems to be doing an excellent job of creating this hatred right under our noses. We must continue to stand up against Bill 60 which will destroy Quebec if it is ever passed. Everyone should be entitled to basic rights and freedoms. I could not imagine living in a world where I wasn’t allowed to do something based on my religious preference or my beliefs. We live in Canada and under the Charter of Rights and Freedoms I am proud to be able to live freely without fear of being punished or arrested for speaking my mind, dressing a certain way, wearing religious symbolic jewelry. I fear the future with Bill 60 in Quebec. For my future children, I hope, that they can live in a world as I grew up in. I think of my grandparents, both Holocaust survivors, spending their teenage years in concentration camps and work camps treated like pigs for being Jewish! Granted, we cannot compare Bill 60 as the same degree of hatred and intolerance, but, if my future children had to live afraid or unable of expressing who they are and where they come from that would be unfair. And for all we know, how far will this actually go? First Bill 60…and then what?? Naturally, Canadians have every right to express themselves. Why be so different in Quebec? Quebec you are not more special than any other province. Your constituents deserve the same rights and freedoms as other Canadians…as other democratic countries no less! Our country is based on the principles of being a mosaic landscape…not a melting pot! Marois, we will not become a society based on your image. Sorry. I married into a lovely Montreal family 22 years ago and was welcomed from our first meeting. I suspect my welcome was due to the fact that my sense if humor was a rare match for their brother’s, but I know that the love and care they have subsequently heaped on this Chinese Canadian sister-in- law originates from their deep abiding respect of all people and the belief that the valuing of differences and diversity make Canada a leading world citizen. As a result, our kids’ generation may be the first generation to be truly color blind in the best way. Bill 60 has no place in the heart and heads of people of a tolerant and respectful country, province, city, home or family. Do not pass this Bill. Great comment Martha, thanks so much for sharing. It’s a classic story that I fear will be told less and less if we continue on our current path. Let’s make sure we remain the tolerant and accepting society that leads to happy endings such as yours. My pleasure, and BTW, people like me in Vancouver DO care about what happens in PQ. Thanks for writing Frank, it’s much appreciated! There was a time we talked about making Montreal a CityState. The more I get my affection infected by these cycles of extreme ignorance and inferior concepts the more I think that the idea is entertainable . I have a lot to say about this Charter, however, I don’t want to leave a long-winded comment so I will only share a portion of what I wrote to my employer, Concordia University’s president, Alan Shepard. It’s a bit unsettling that Concordia has not taken a definitive stance against the Charter, but I’m sure that a lot has to do with who is sitting on the Board of Governors. “I support the inclusion and integration of all cultures and religion in society, it is how I was brought up (here in Quebec). There are wonderful people with “religious garb” who educate my children in preschool and CPE, they are truly loved by the children they teach. The charter is indeed bi-polar, at one moment it wants to ensure secularism among public workers (with many convenient exceptions); at other times it claims to ensure equality among genders — I firmly believe that gender equality needs to be organic (taught at home, in schools, among communities), it certainly cannot be taught through top to bottom approach via government policies”. Then there is this notion that Muslim women are forced to wear the hijab. I’ve worked and studied with many girls in the university milieu who wear hijab – they are not forced, – the hijab in North America is in most cases a cultural choice, despite what some critics may say. Previous Post What’s Up With All This Money that the Government Sends Me?? ?